Kristine is turning 80! 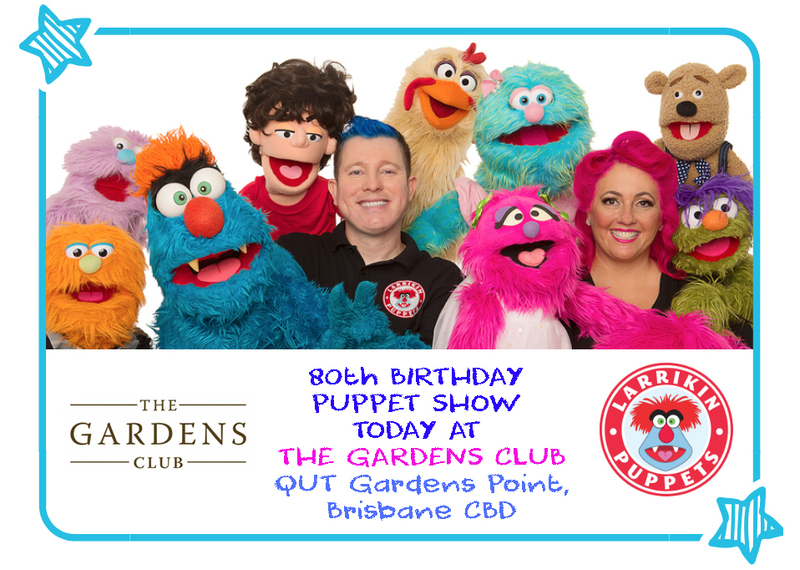 So we’re performing a very special puppet show for her and the whole clan at a private function at The Gardens Club near QUT Gardens Point in Brisbane CBD. 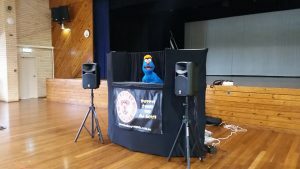 Having an 80th birthday or any other kind of birthday or special occasion? 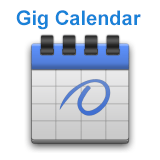 We perform in clubs, pubs, restaurants, halls and more. 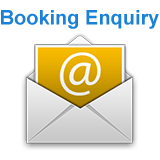 Your 80th birthday function could be for adults only, or it could be for the whole family. When we perform puppet shows at events like this we like to incorporate a few jokes and references specifically about the person celebrating their birthday or anniversary or any kind of event. 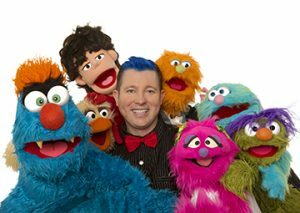 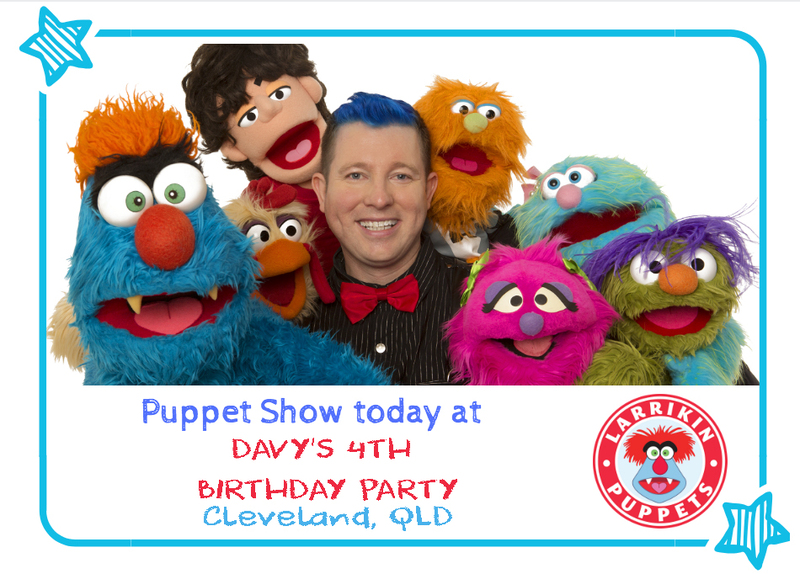 Troggg and his fluffy friends are heading to Davy’s 4th Birthday Party today in Cleveland! 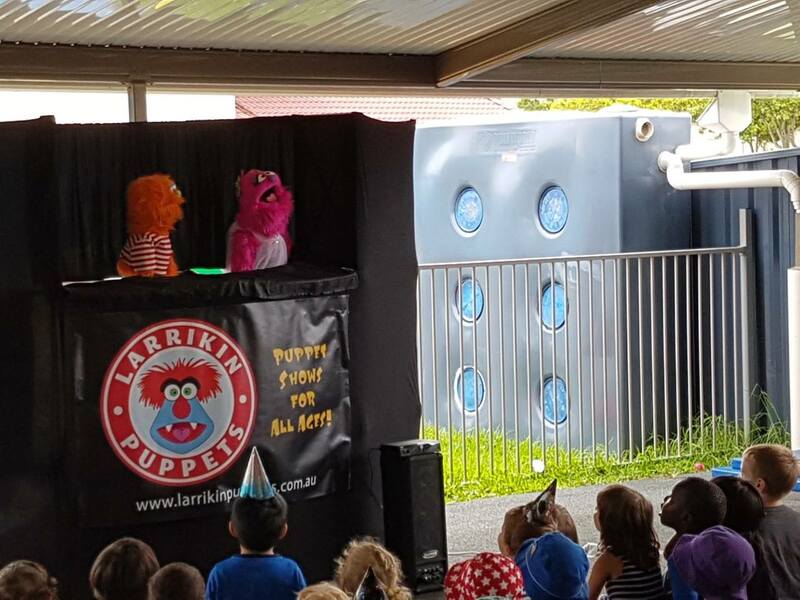 Many years later, the first puppet show performed under the Larrikin Puppets business was for the birthday party of Jacob in Bardon. One of the parents at that show subsequently booked Larrikin Puppets for her children’s birthday party in Paddington. 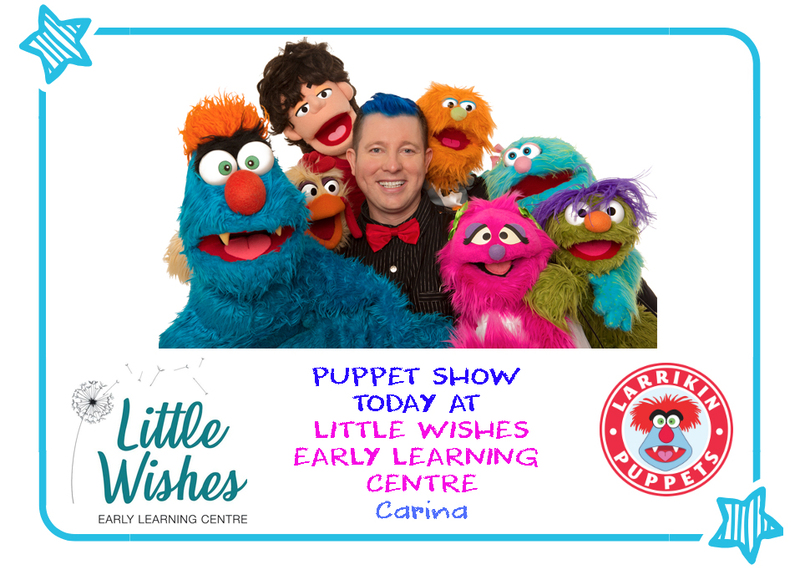 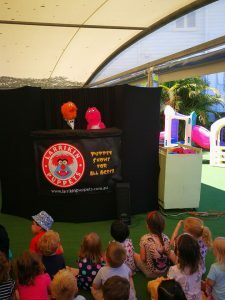 Almost every other birthday party puppet show since has been booked via the booking enquiry form here on the Larrikin Puppets website. 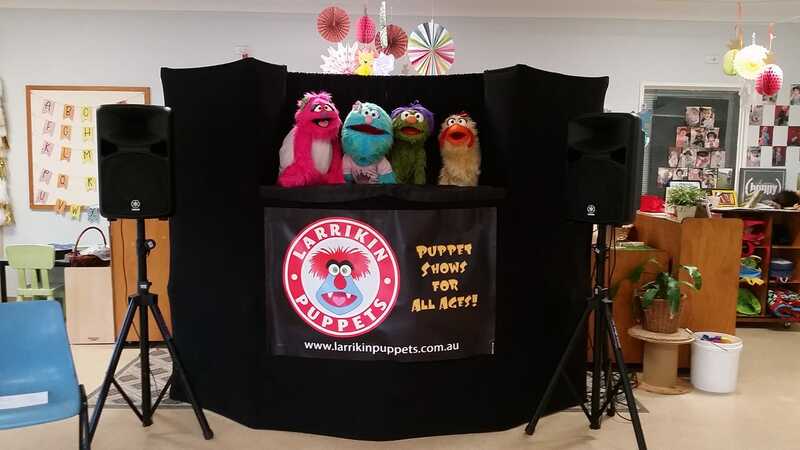 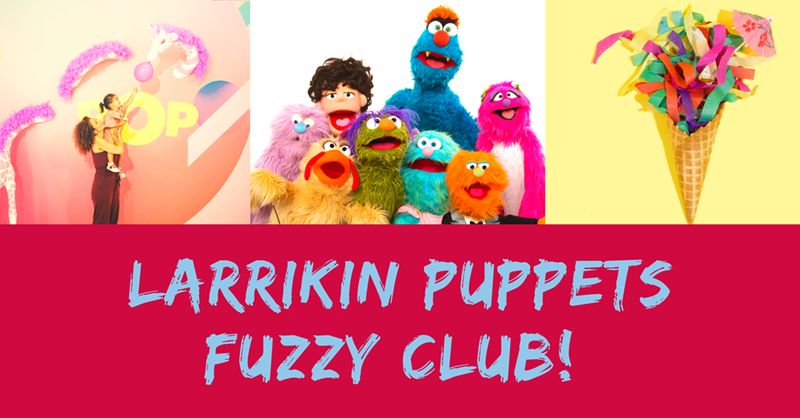 Larrikin Puppets had another busy and fulfilling year. 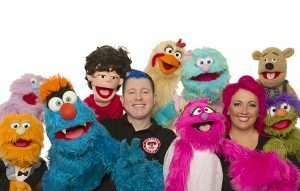 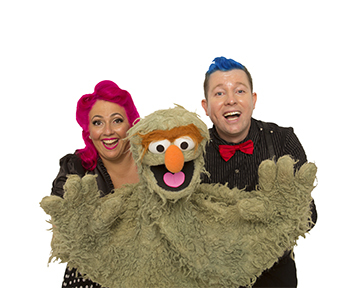 Having celebrated five years in business at the end of 2017, we felt it was time to invest in slick new professional photos and a promo video to showcase our exciting, colourful and fun puppetry to serious clients looking for something different and memorable. 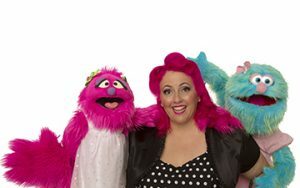 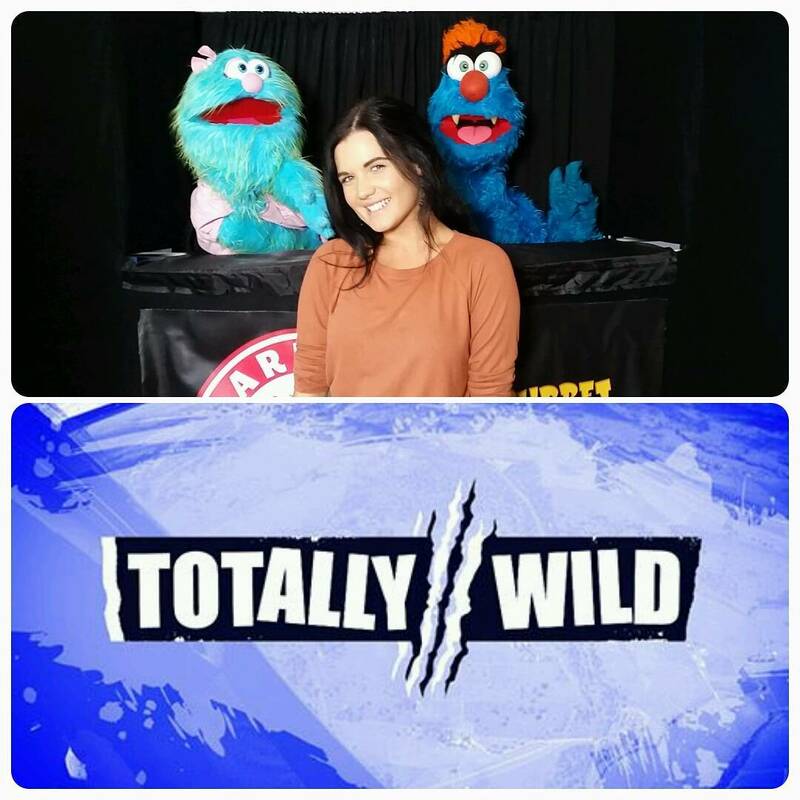 Elissa got much more involved in the puppet shows with her characters Flossy and Marina making a big impact on audiences, as well as her role as a human presenter in some segments and a story teller. 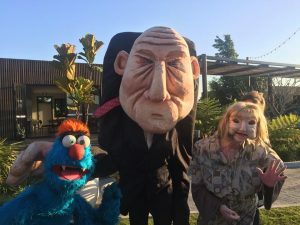 – We performed 1 free charity puppet show at the Lady Cliento Children’s Hospital in South Brisbane for The Starlight Foundation, who help improve the lives of seriously ill children. 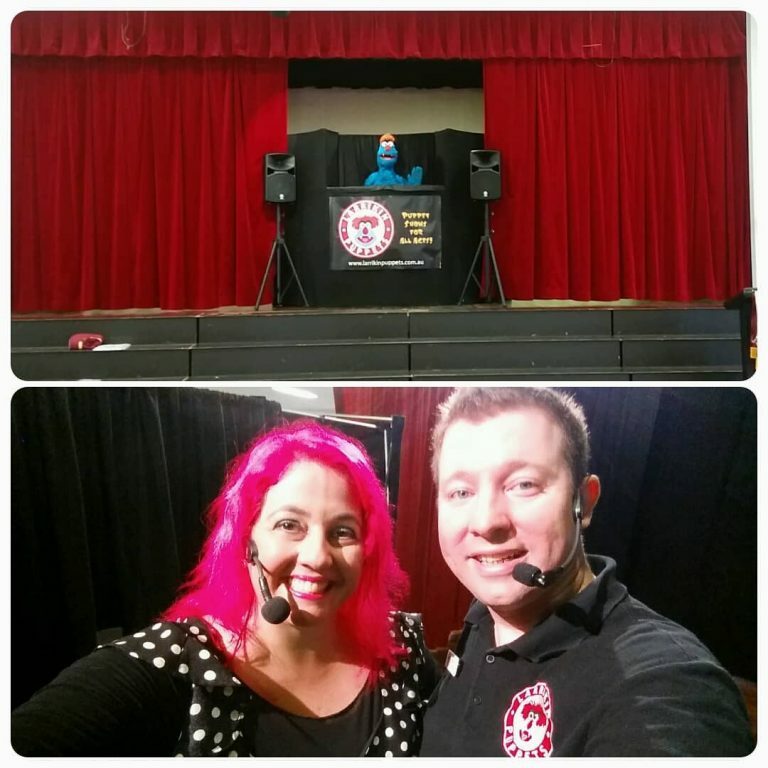 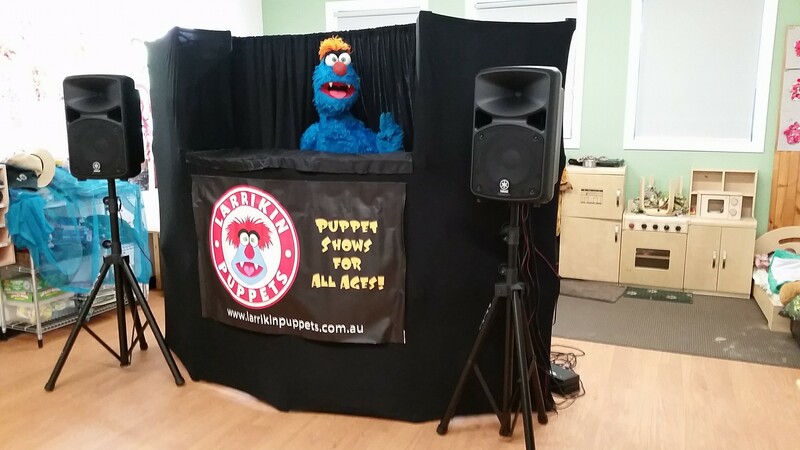 – 5 performances took place at corporate functions around Brisbane and Northern NSW. 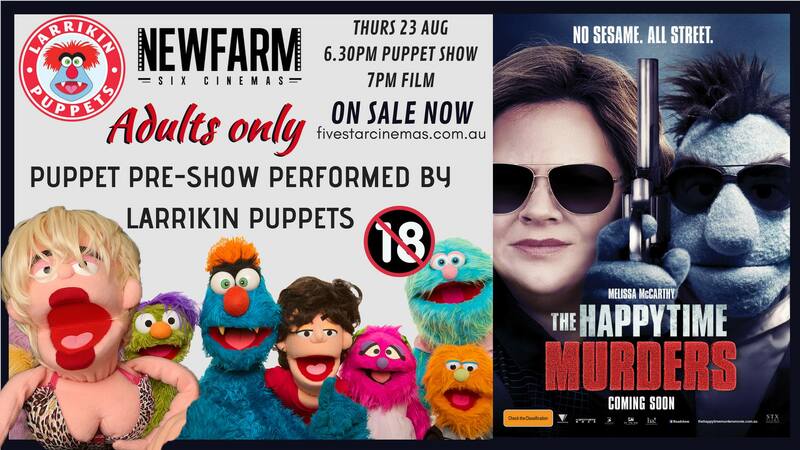 One of these was a pre-movie adults only puppet show at the Brisbane premiere screening of The Jim Henson Company’s “The Happytime Murders”. 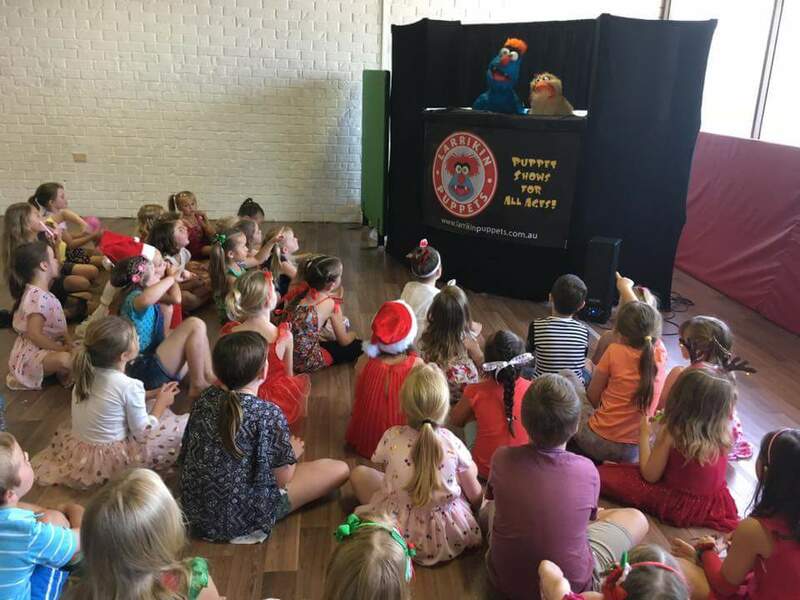 Another was a Christmas In July dinner at a packed restaurant. 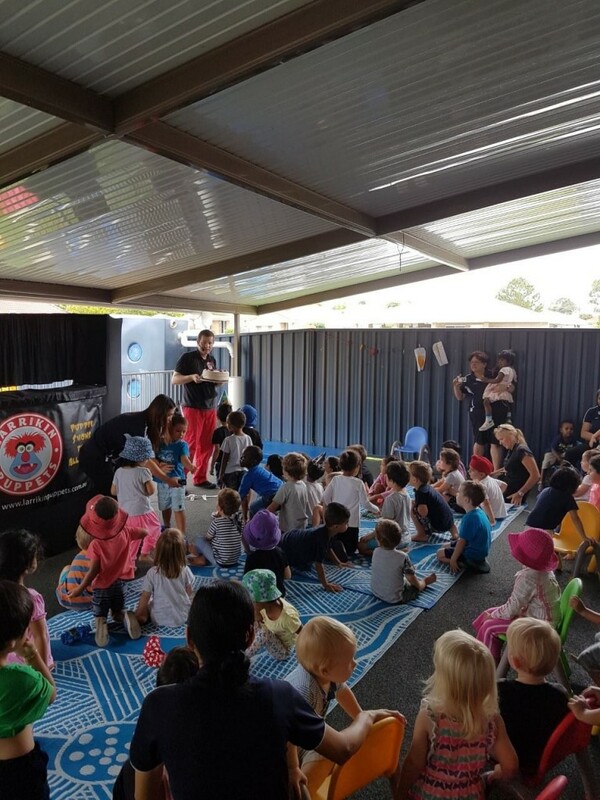 We also performed for the staff and families of international corporation Ernst & Young – one of the world’s “big 4” accountancy firms. 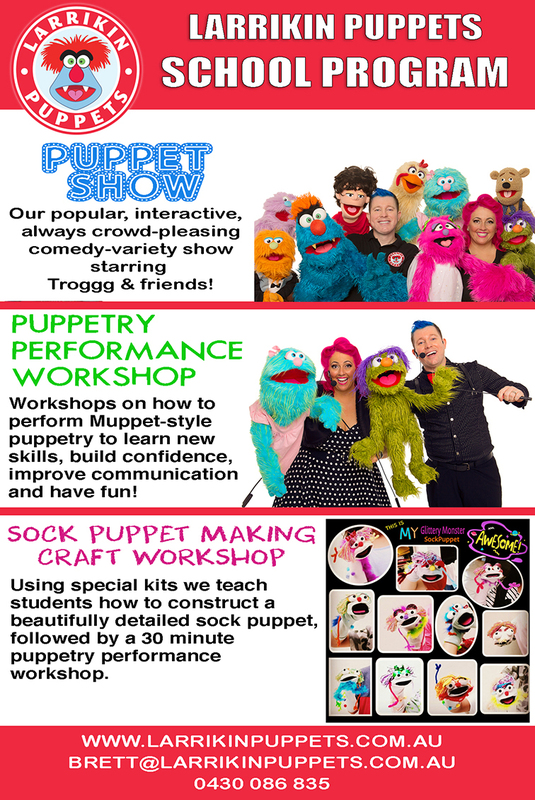 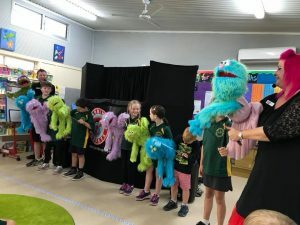 – We ran our two day intensive “Island Puppetry Workshop” again on Bribie Island, and we had an even bigger class than last year – again consisting of participants from interstate (Sydney, Canberra), Central Queensland and Brisbane. We also ran some puppetry workshops for Shoebox Theatre Company’s upcoming production of “Avenue Q” in Toowoomba. This made the local Channel 7 news! 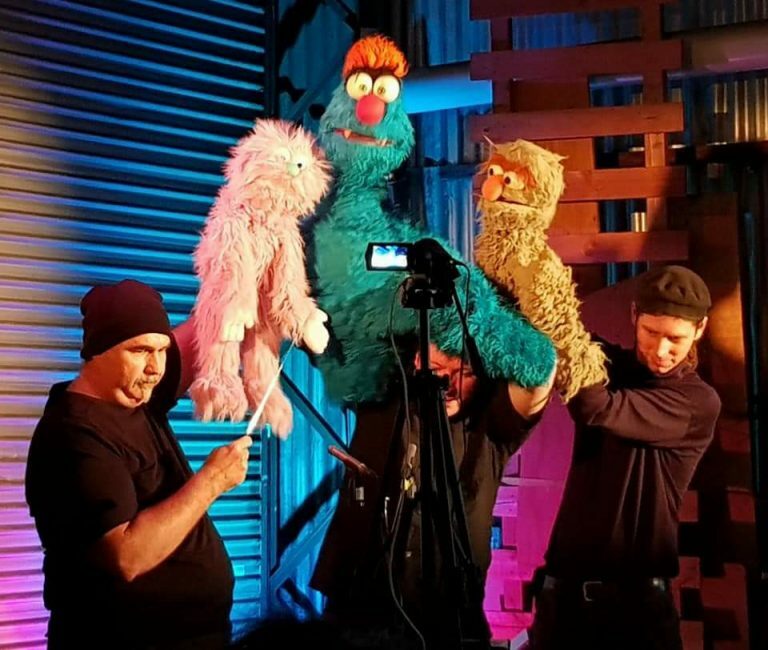 – We performed 5 theatre stage shows this year, including “Show Of Hands” – our improv comedy stage show featuring TV monitor puppetry as part of the 2018 Anywhere Theatre Festival. 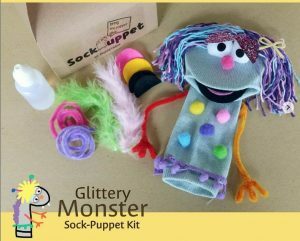 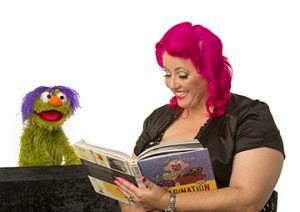 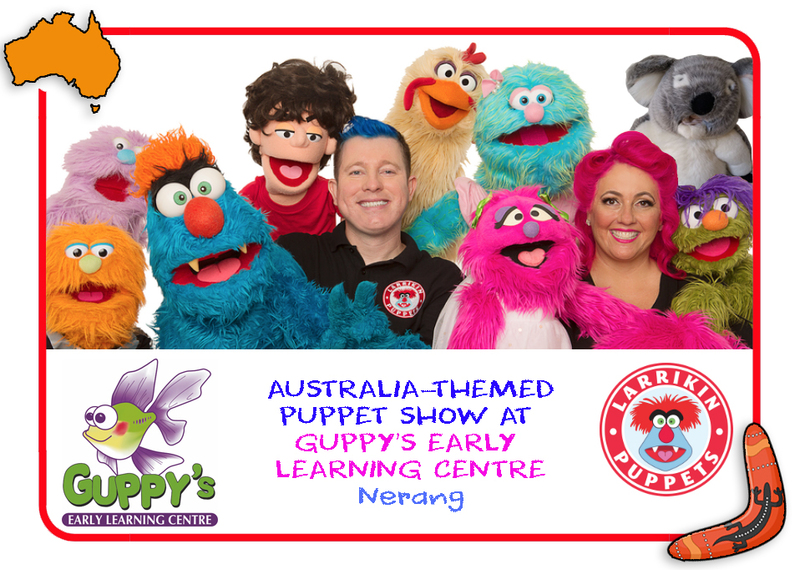 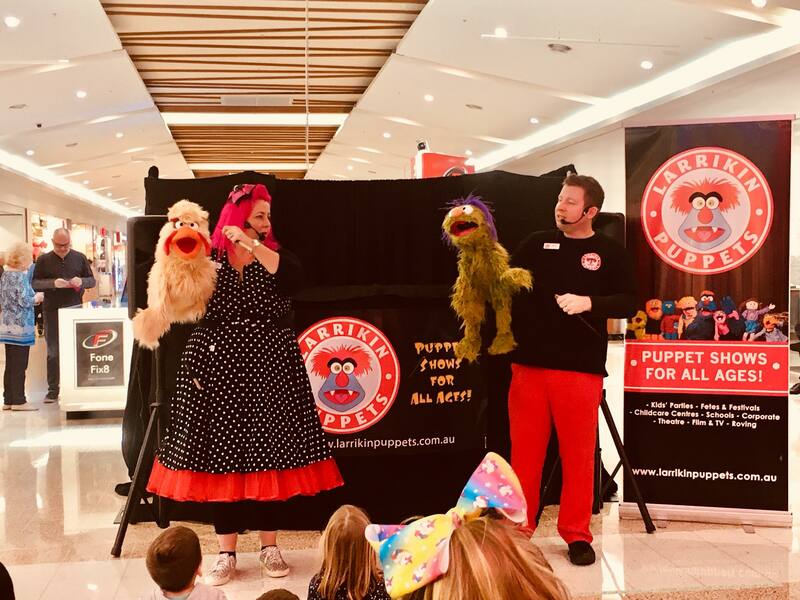 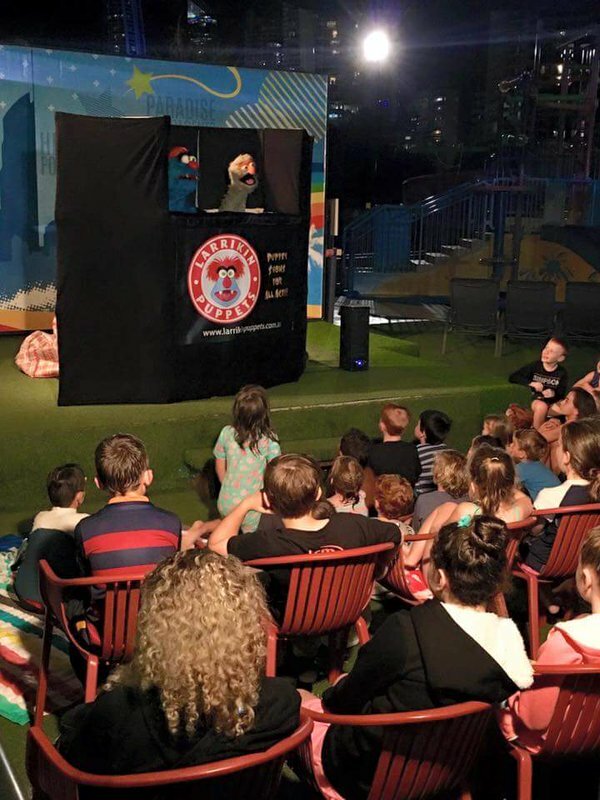 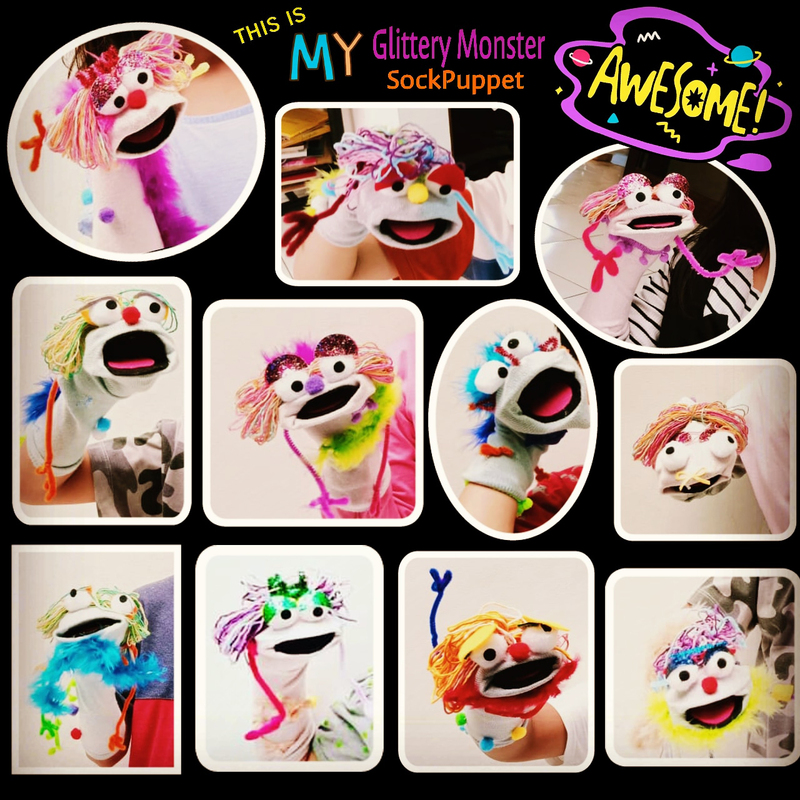 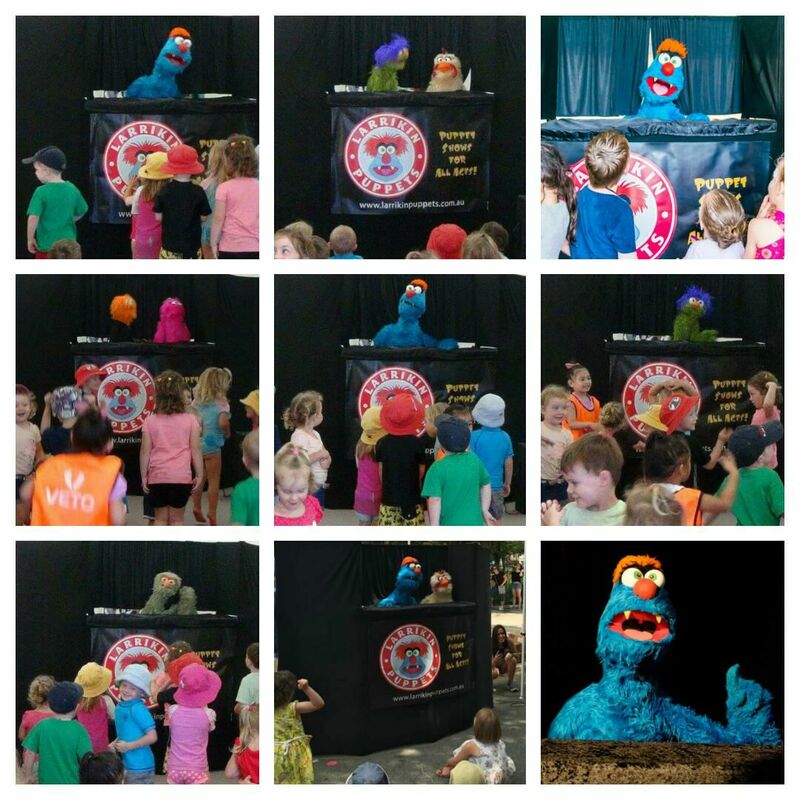 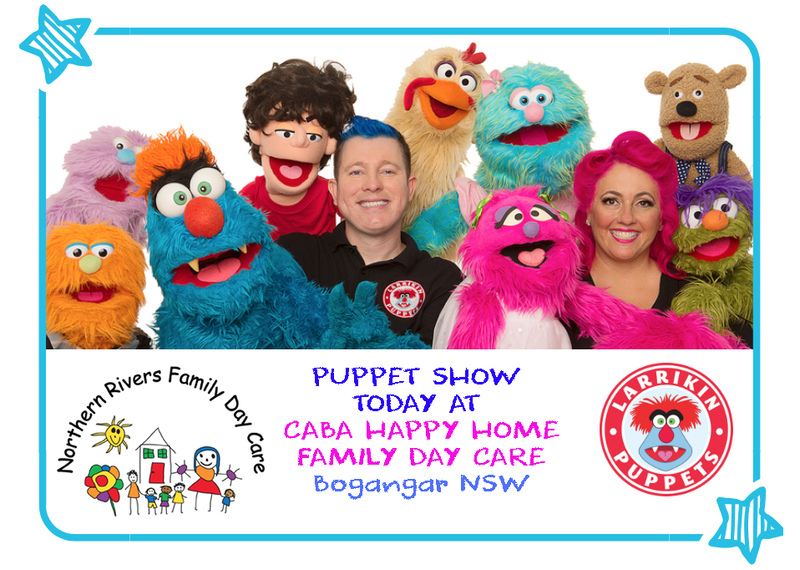 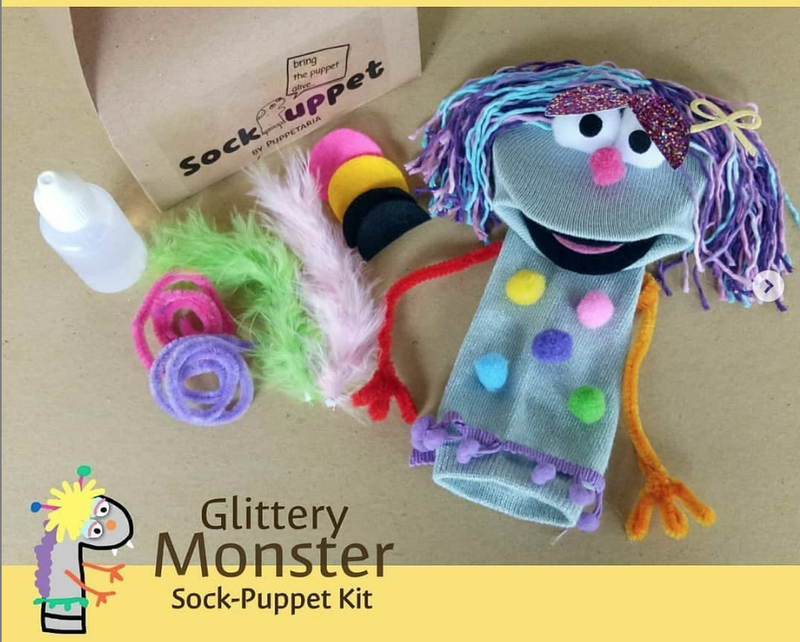 – 11 puppet shows took place in retail outlets; 1 Bunnings hardware store in Maryborough and 10 shopping centre shows taking place in Gracemere (Rockhampton) and Toowoomba during school holidays. 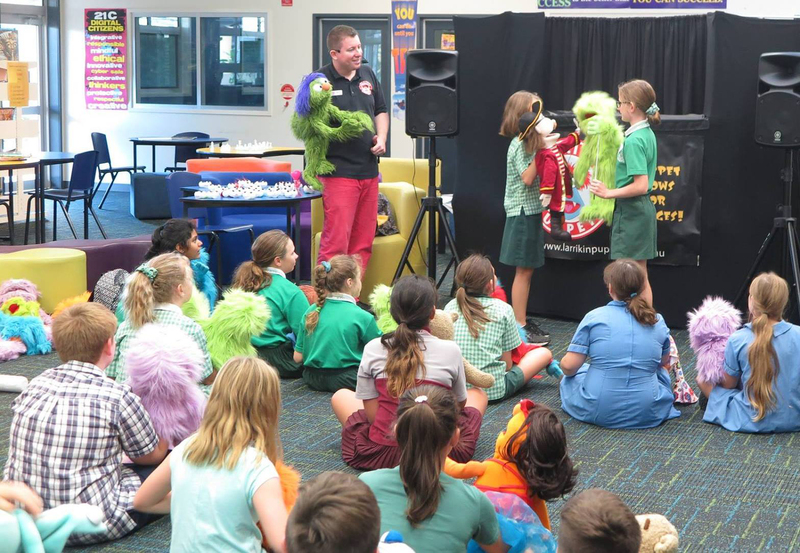 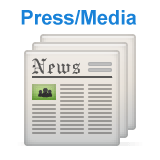 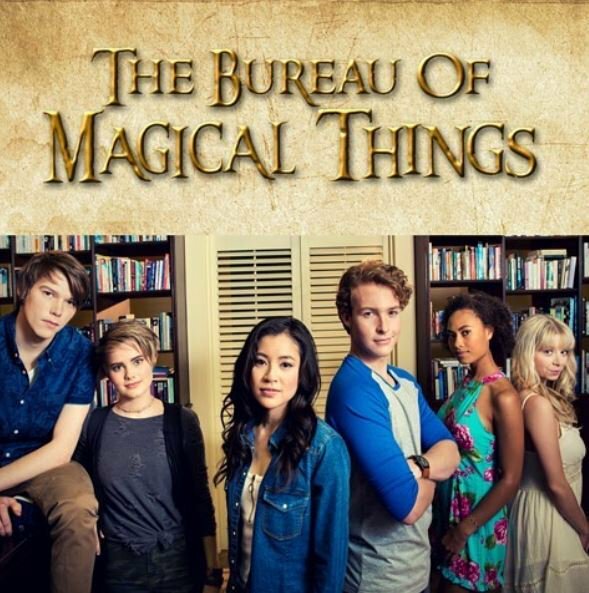 – 14 presentations took place at libraries around Central Queensland and the Sunshine Coast. 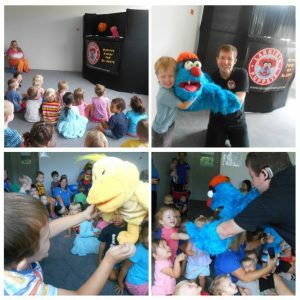 This included a couple of school holiday puppetry workshops and the launch of “Story Time with Larrikin Puppets”. 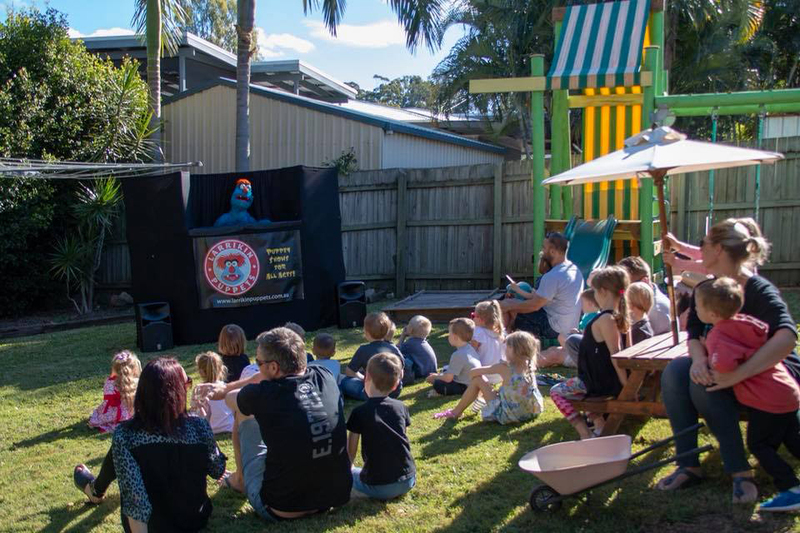 Our story time puppet shows feature a story book from one of four Australian Children’s authors and were presented in libraries this year as part of Queensland’s First 5 Forever initiative. 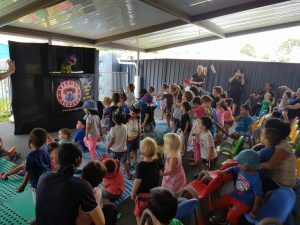 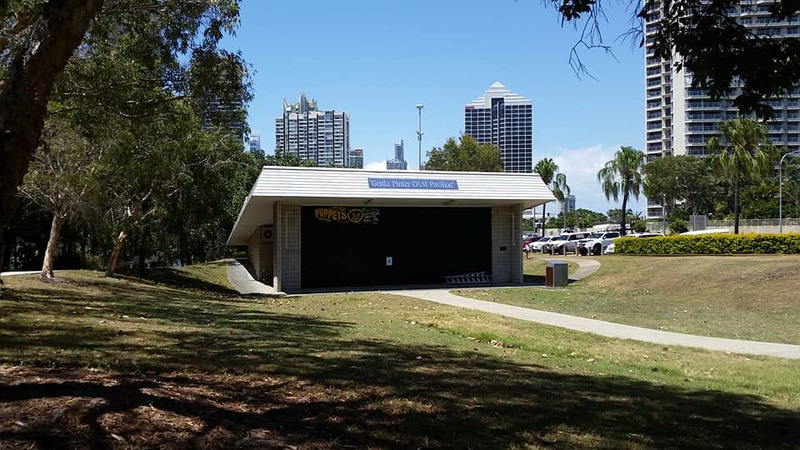 – 17 birthday party puppet shows took place all over South East Queensland. 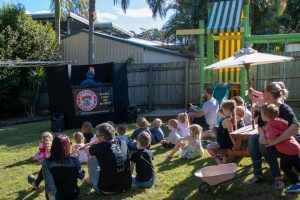 As always these shows were performed in back yards, living rooms, garages and council parks. Most were performed by myself, but Elissa joined me to perform at a few of the parties for older kids. – We performed 23 puppet shows at public community fetes and festivals all over South East Queensland and Central Queensland. Some festivals had us in our own section of the event with performances throughout the day. 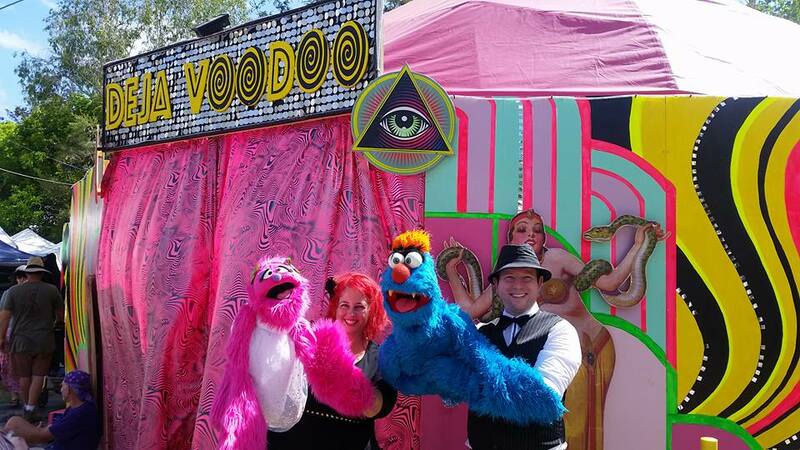 Other festivals had us as a main stage act striking on and off stage between other performers. 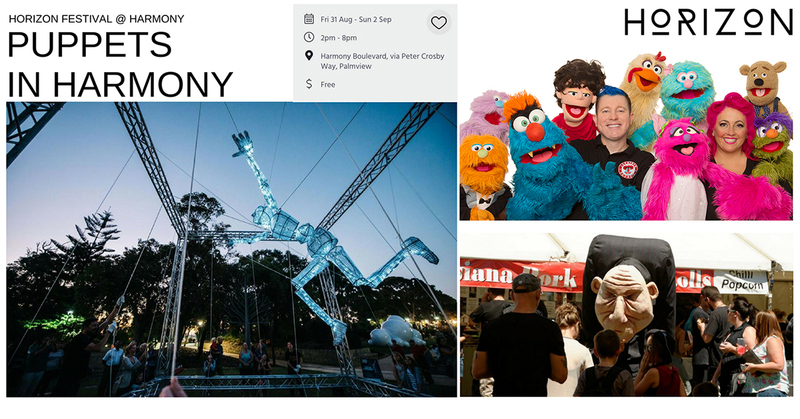 One event in particular was the Horizon Festival where we got to perform alongside several other puppeteers, including Spare Parts Puppet Theatre from Western Australia. – 24 school performances/workshops took place around Brisbane, Ipswich, Logan, the Gold Coast, Sunshine Coast, Moreton Bay Region, Boyne Valley and Banana Shire, plus a special visit to the “Australian International School Hong Kong” in Kowloon, Hong Kong while we were over there visiting family. 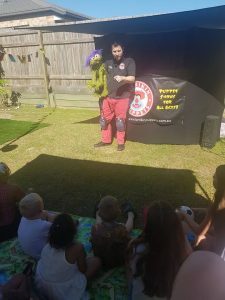 Our puppet character Frazzamatazz made the trip to entertain our two young nieces, so a couple of puppet presentations were arranged at the school they attend. 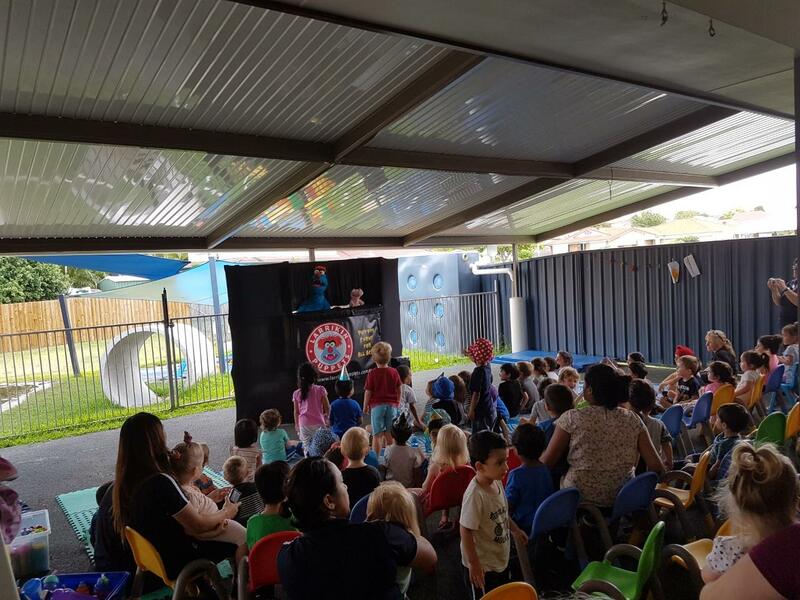 – There were additional visits to schools for 9 Vacation Care/OSHC presentations. 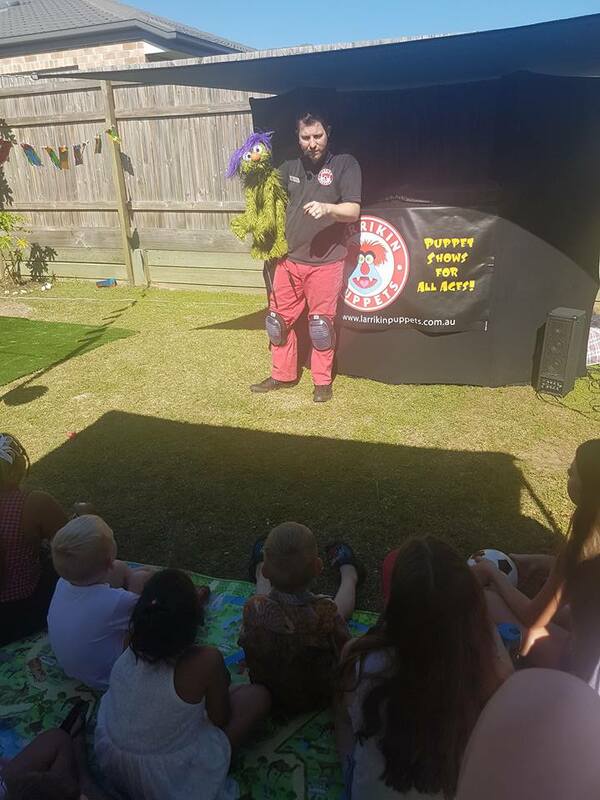 For some it was a puppet show, for others it was a puppetry workshop, and on some visits it was both, or several presentations throughout the day. 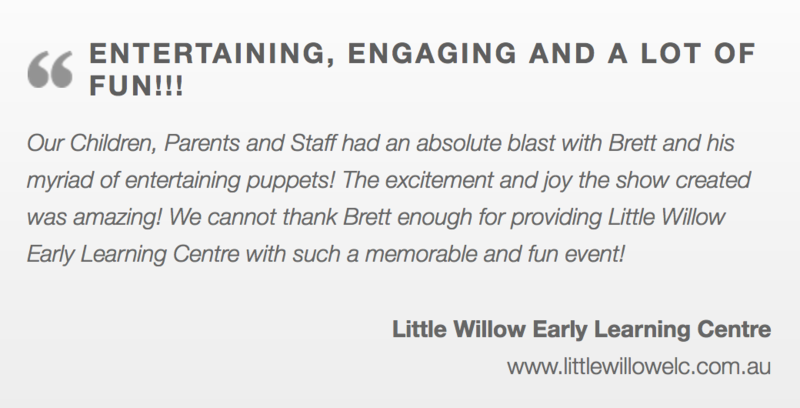 – Our most popular bookings this year were for children aged 0-5 at childcare centres and kindergartens. 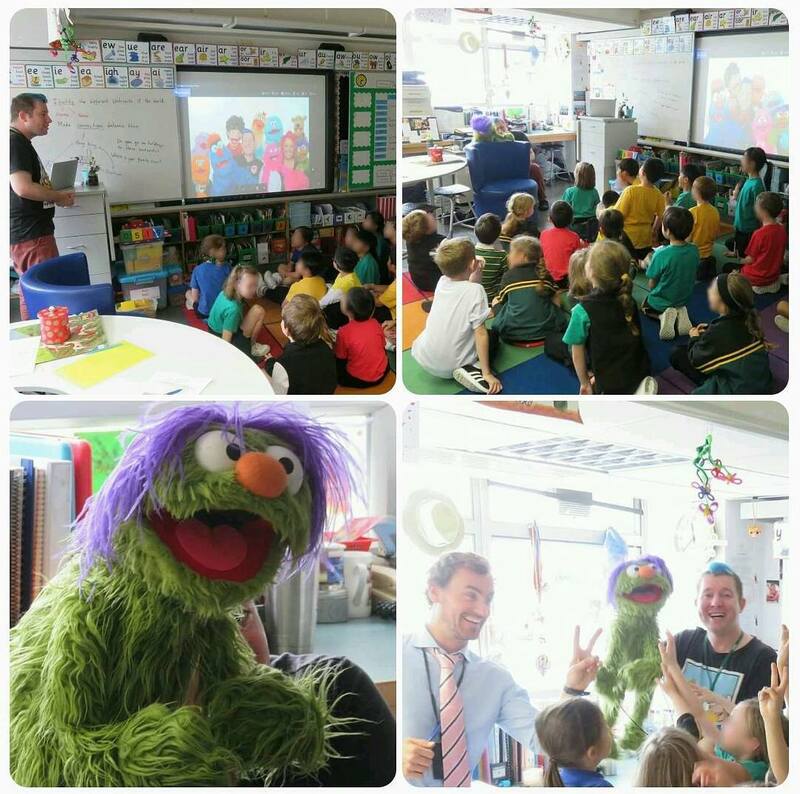 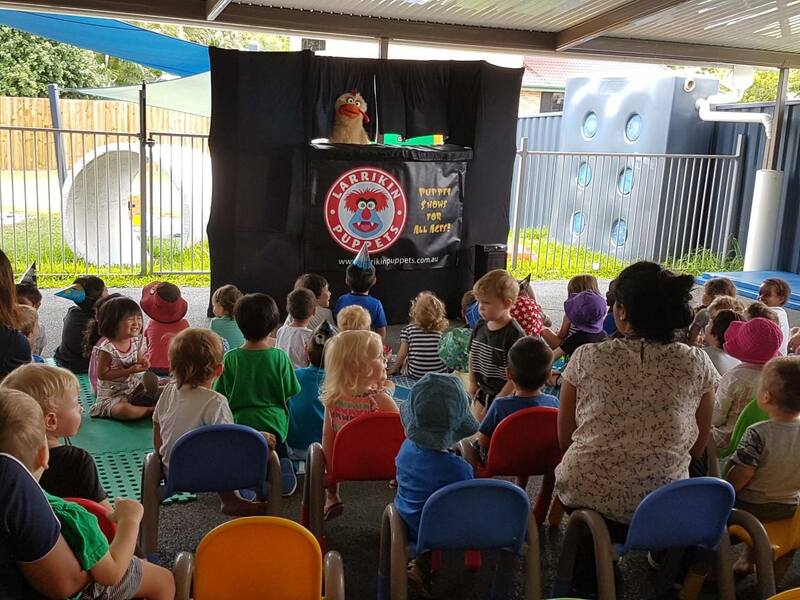 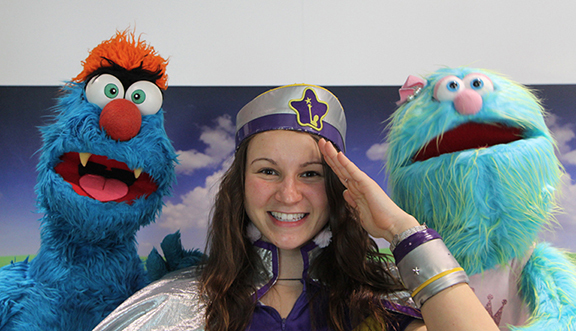 27 childcare and kindy puppet shows took place this year all over Queensland. 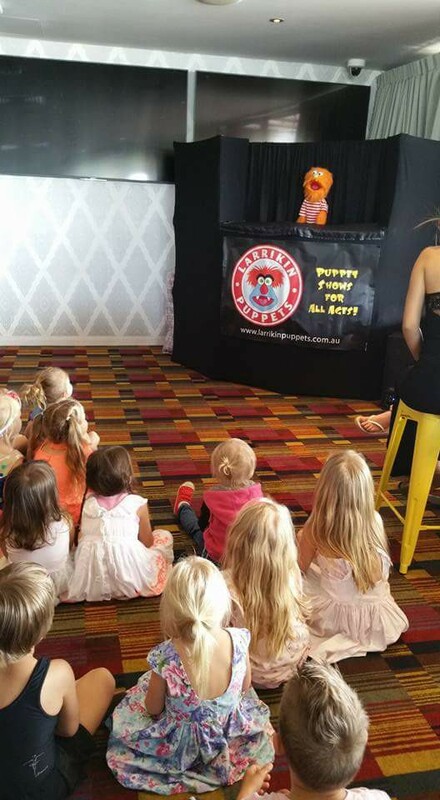 They absolutely love the puppet shows. 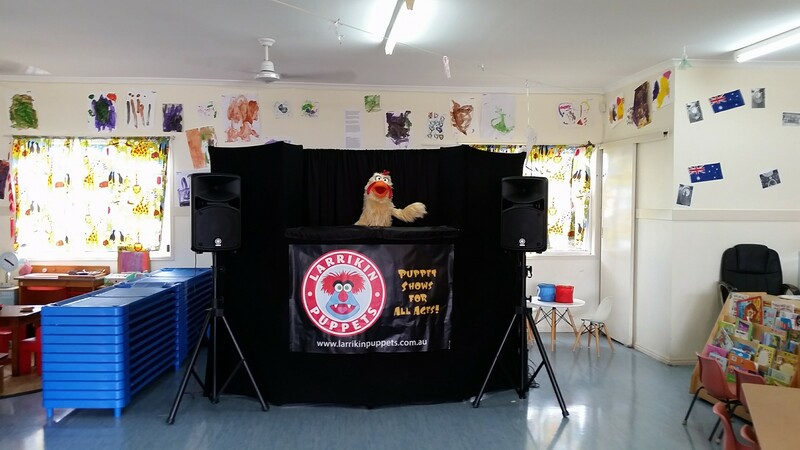 We also performed our “Story Time With Larrikin Puppets” show at a few centres as well. Larrikin Puppets was a finalist business at the 2018 Moreton Bay Region Business Excellence & Innovation Awards. 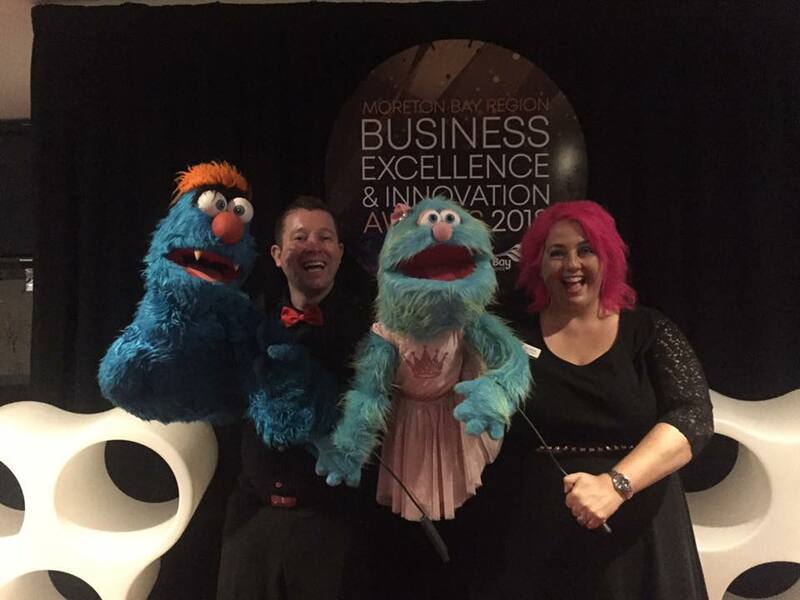 While we didn’t win the award in our category (Marketing Excellence) we enjoyed entertaining everybody at the gala awards presentation night with Troggg and Marina. 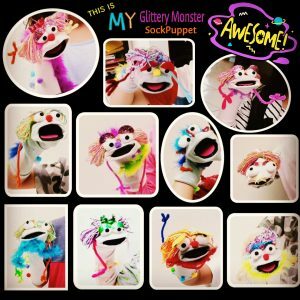 For professional development (and fun!) 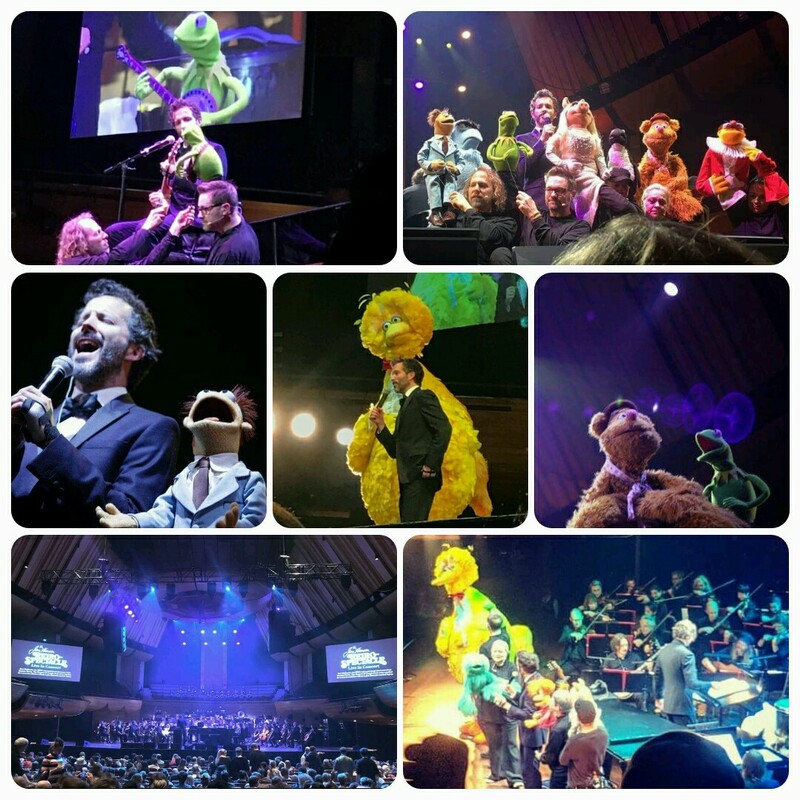 we attended several events as part of “The Jim Henson Retrospectacle” in Wellington, New Zealand. 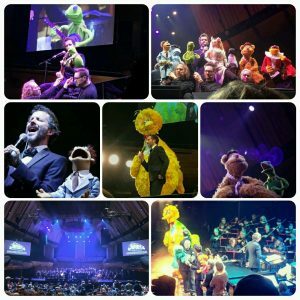 Characters from The Muppets, Sesame Street and Fraggle Rock came together to celebrate their innovative creator (and my inspiration) Jim Henson (1936-1990) with comedian/musician Bret McKenzie (Flight of the Conchords member and composer of songs from the 2011 and 2014 Muppet films) and the New Zealand Symphony Orchestra. 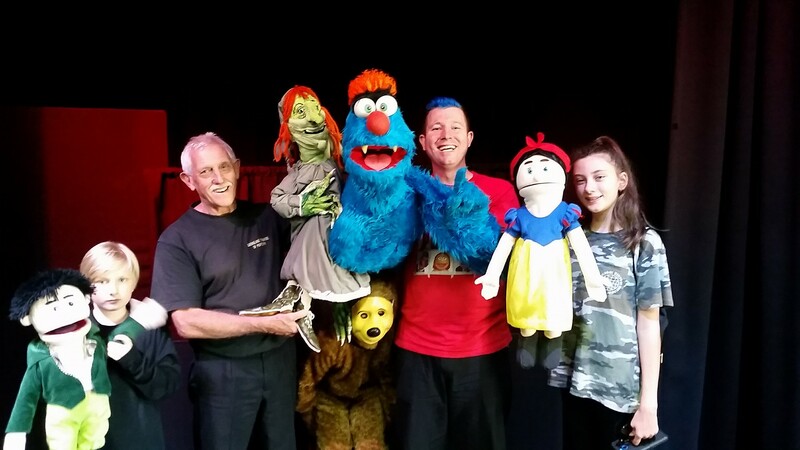 Having met quite a few Henson puppeteers from The Muppets and Sesame Street in the USA a few years ago, we had the great pleasure of meeting some more inspirational American Henson performers at this event – Karen Prell (Red Fraggle), Matt Vogel (Kermit the Frog, Big Bird, The Count), Peter Linz (Ernie, Walter, Herry Monster), Carmen Osbahr (Rosita) and New Zealand puppeteer Jeremy Dillon (The Moe Show). 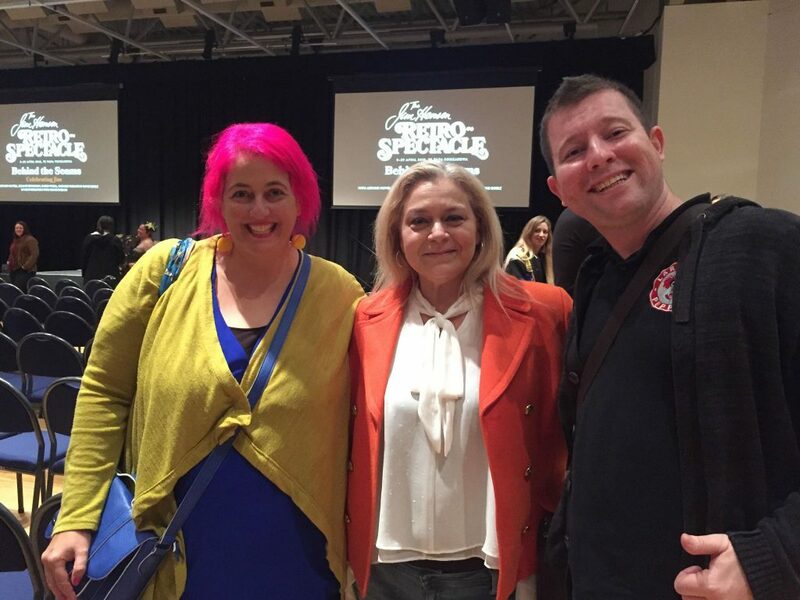 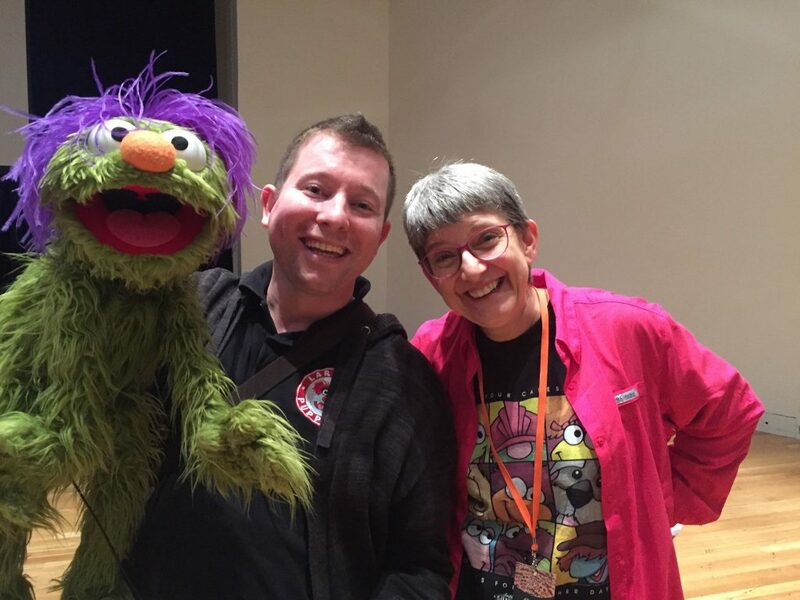 Frazzamatazz and Brett Hansen with Muppeteer Karen Prell (Red Fraggle from Fraggle Rock). 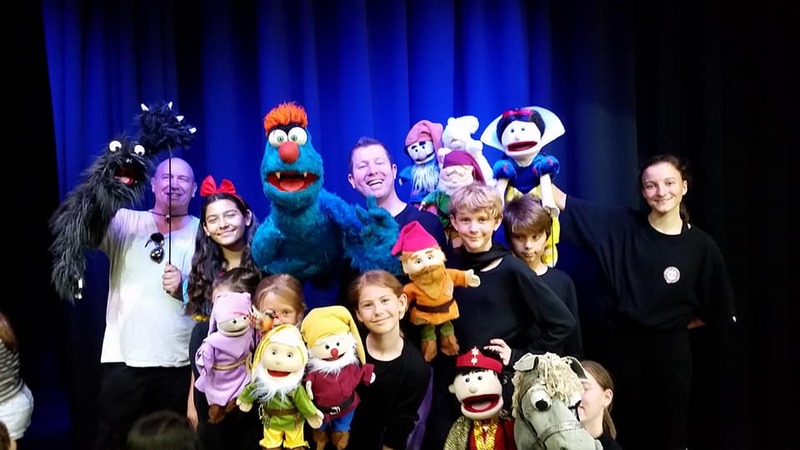 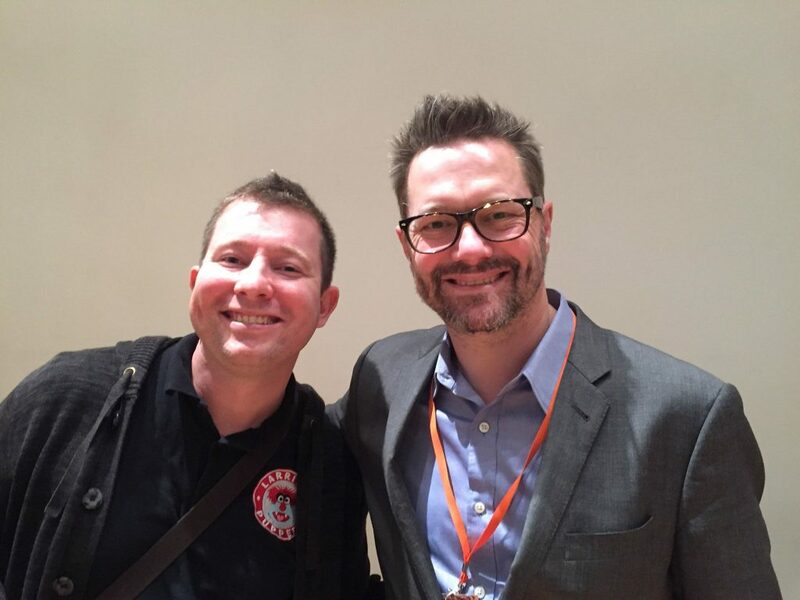 Brett Hansen and Muppeteer Matt Vogel (Kermit the Frog, Lew Zealand and Floyd Pepper on The Muppets, Big Bird and The Count on Sesame Street). 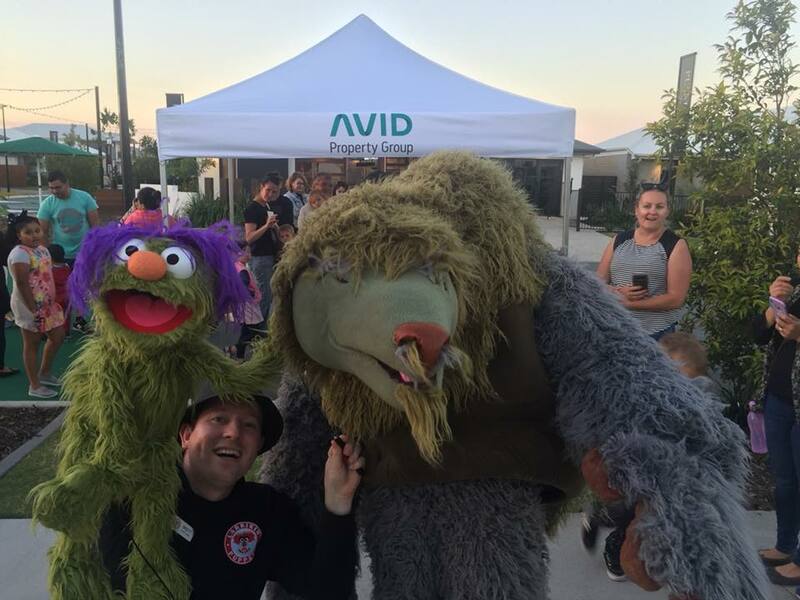 Brett Hansen and Elissa Jenkins with Muppeteer Peter Linz (Ernie and Herry Monster from Sesame Street, Walter from The Muppets). Elissa Jenkins and Brett Hansen with Muppeteer Carmen Osbahr (Rosita from Sesame Street). 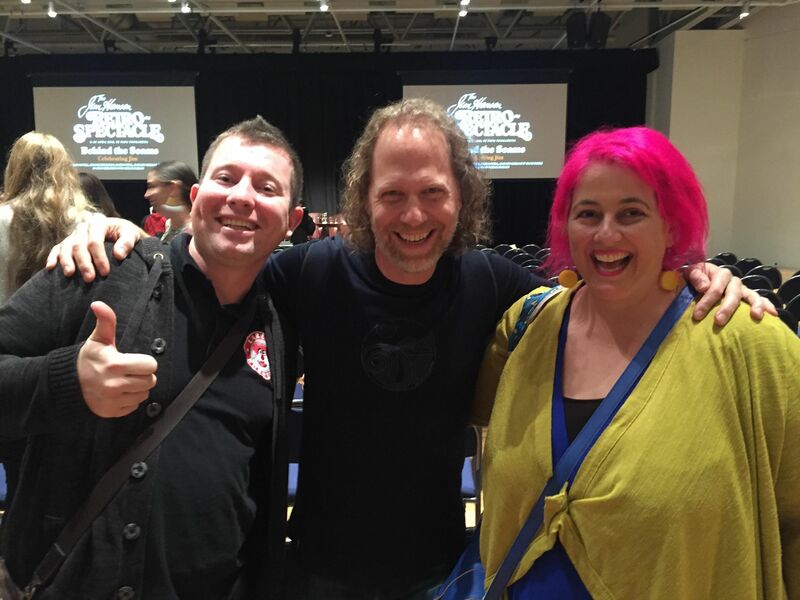 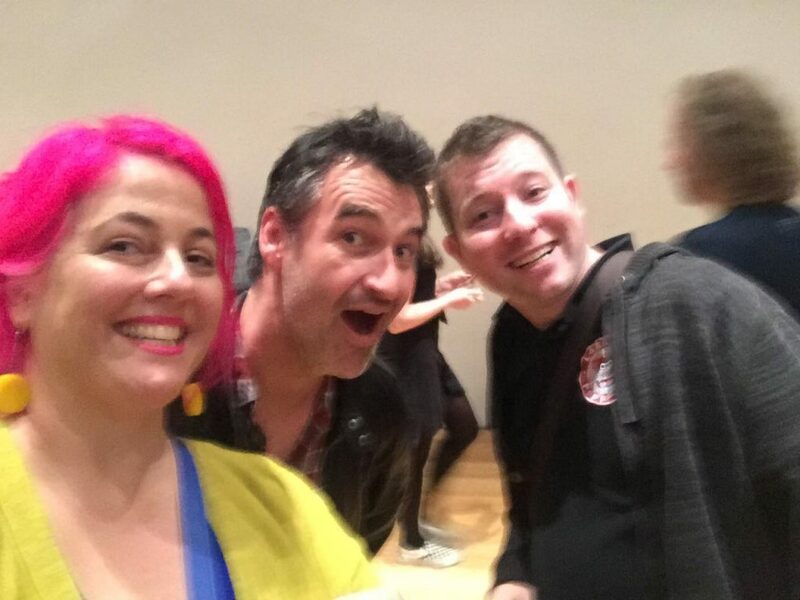 Brett Hansen and Elissa Jenkins with New Zealand puppeteer Jeremy Dillon (The Moe Show). 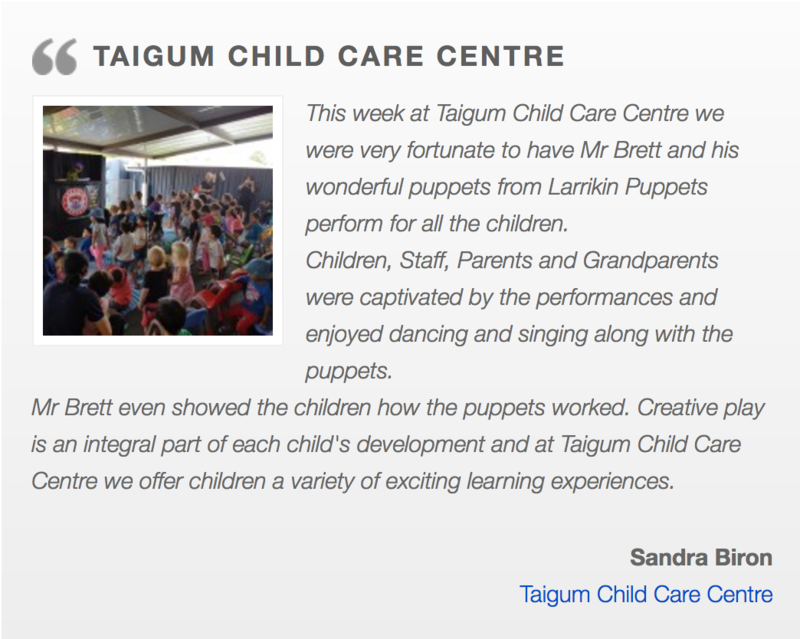 Larrikin Puppets continues to flourish. 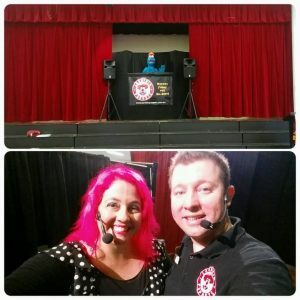 We went on a few regional tours this year, and even upgraded to a larger vehicle! 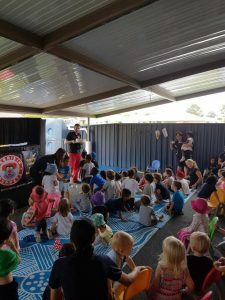 We could no longer fit everything into a small car, so now we use a van. 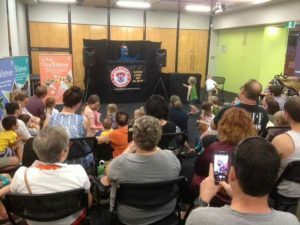 We achieved our goal to perform more shopping centre and library shows, and continued working towards some of our much larger goals. 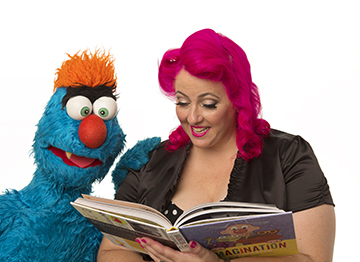 Arts grant applications were submitted (and sadly rejected), songs and scripts were written, Skype meetings and email exchanges took place with musicians, authors and other artists we’d like to collaborate with, and new characters were introduced – including Scrambles (a nervous little red monster) and The New Baby (a cute little newborn who interrupts the show to be soothed to sleep through song and given a name by the audience). 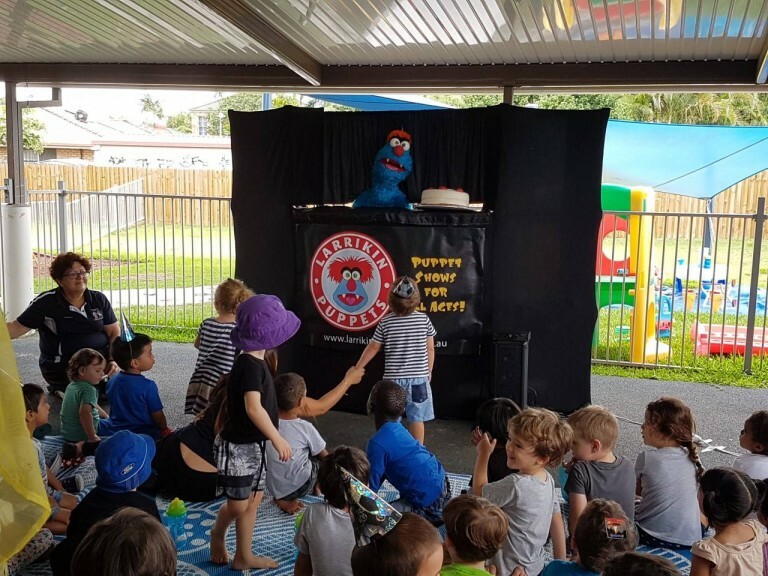 It’s hard to know what 2019 may bring. 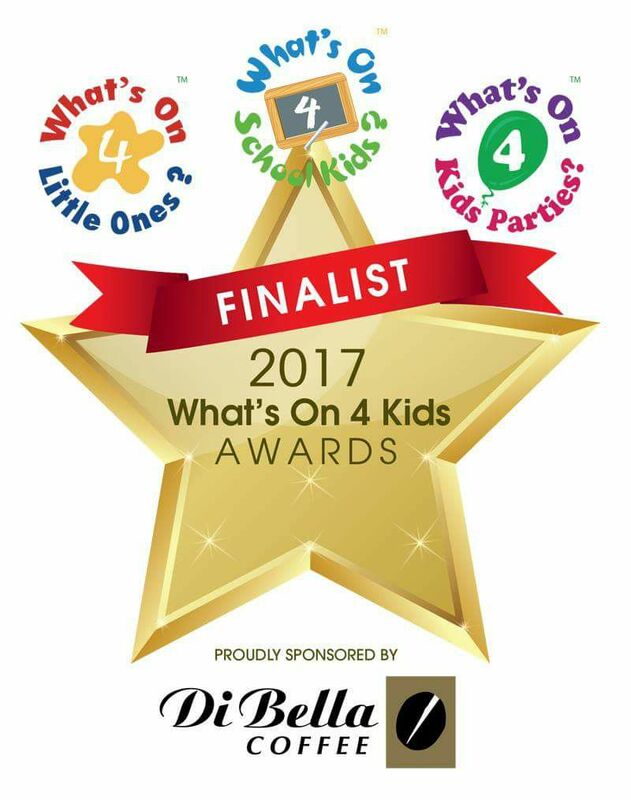 We will continue to work towards achieving some of our really big dreams, and also see if we can reach a total of 200 performances. We won’t be taking any overseas trips in 2019 (unless we’re booked to bring our show to Singapore or the UAE like many of our peers in the children’s entertainment scene) so it means more time available to perform more shows. 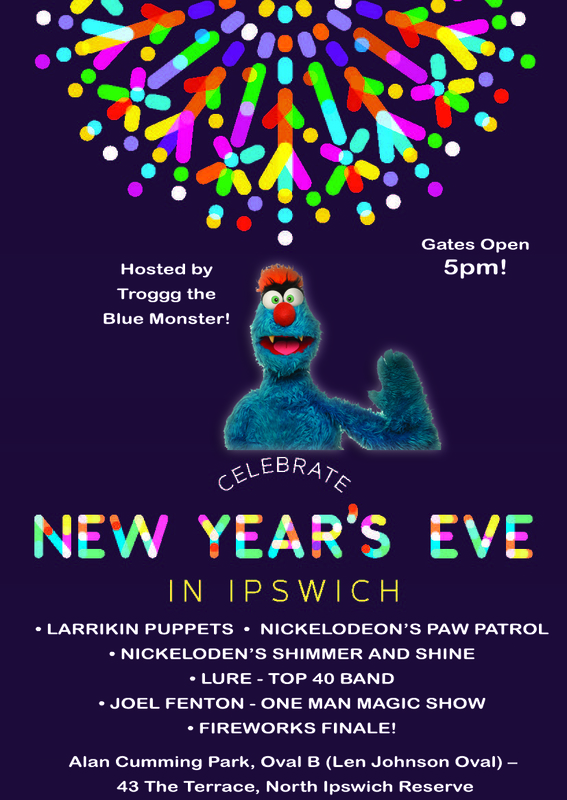 Our final event for 2018 is the Ipswich New Year’s Eve celebration. 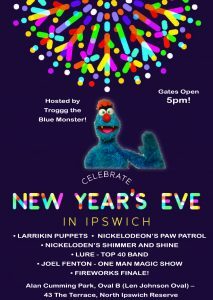 This was supposed to happen last year but the event was cancelled due to a large storm. Troggg is again booked to perform MC duties on stage all evening as he introduces bands, magic acts, costumed character shows and fireworks, as well as the performance of our puppet show. Merry Christmas and thank you for all of your support. 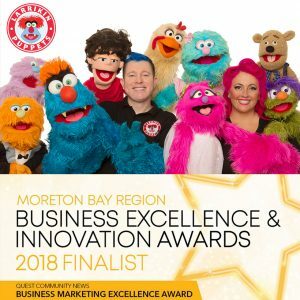 It’s been another great year!